Bullhorn’s CRM system helps you manage existing and prospective client relationships and configure your sales processes for maximum effectiveness. "Bullhorn CRM- Keeps you on Target and moving towards your goal"
Bullhorn CRM allows the AM's to stay in one tool from Lead Generation through to Requirement Delivery. This allows all the leads to be managed seamlessly without going between CRM and ATS platforms or building out API linkages between different tools. All of the notes, emails, etc. are captured and carried through the lifecycle withe lead/contact. The CRM tool is constantly changing and new features add which is a huge positive but there are still a few areas where it isn't 100% on par with the functionality that exists within the ATS. There are some common workflow items in the ATS that haven't been carried through to Leads and Opportunities that would be great to see integrated. There are a lot of cool upcoming features within the CRM. It is a product they are continually investing in so there is constantly changes. The CRM has a lot of potential for more features from an already great product. We previously had no way of tracking the leads/opportunities so this was often in Excel spreadsheets if captured anywhere at all. This allows more visibility into the workflow prior to a job being created or opportunity won. We have developed new campaigns and sales strategies and pushed these out within the tool. "Strong CRM and Committed Leadership make Bullhorn a Leader"
Bullhorn is constantly making improvements and is the CRM of the future. Strong, committed leadership!There are several great features. that make my job more efficient and productive. I like the Task List and how easy it is to use and manage. I like the Tear Sheets and how they can be a direct resource to use when I need to contact specific people. I like Search capabilities, especially how I can search through Contacts using Last Note Added as a field. This way, I can easily see a list of contacts that I haven't connected with lately. Lots of compatible software with Bullhorn as well. Overall - it's awesome. Once or twice I have sent an email through Bullhorn that did not arrive. I am able to manage both clients and candidates - managing multiple job orders and clients while recruiting for multiple jobs. Benefits include managing the process, staying organized, and the task list to manage my future tasks with clients and candidates. Dashboards are very helpful as well to view progress on goals. Knowing where I am in the process with my jobs and clients is very beneficial. "Fantastic for Recruiting Solutions "
The clean design, easy edit functions of candidate portals, and integration with contracting. You can also sync with your outlook calendar to assign appointments and tasks which is super helpful. It takes some times for posted appointments to refresh. Most of the time this is when appointments are posted for the same day or in a certain frame of time. Use it. Take some time to get to know the different report types. They are fantastic! It's really helpful to spend many many hours taking the time to use different reports and see what they can give you. There are great reports for tracking recruits in your pipeline. Recruiting candidate management. Workflow management for recruiting. Tasks/Calendar invites for multiple people regarding a single candidate. "Easy to Use But Nothing Exciting"
Makes my contacts easy to navigate, easy to delegate tasks and look up information. Needs constant management and updating, which most CRM software does, but it hoards a lot of old and irrelevant data that we simply don't need anymore and can get thrown into the mix making my job a little tougher. Definitely really easy to train new hires on. It's easy to navigate and very straightforward. Can really make a difference if you tend to set your own tasks or have your own personal data organization methods. We handle thousands of contacts and need to be able to sort them, organize them and look them up quickly. "Best ATS for Agency Work"
Work Flow, custom notes, speed, add-ons, UI, Integration with Office 365, click do dial with Vonage. It's a good UI but it's starting to show it's age. There parts that look and work really well, but then there parts that still feel like the legacy system. I love the parsing, I love the notes and email tracking, I like the depth and customization. For larger agencies it's a perfect fit. 1) Dashboard screen for candidate process. I need a table with each req that give a number of candidates in each stage of the recruiting process. I want to easily move candidates in each state by click and move. Some of the parts feel a little clunky and not all the parts seem like they've been updated in years. What I really don't like is the cost. It's very expensive and I thinking about moving off the system. It has a lot of features I use, like but I could be okay with a more basic system that cost a lot less. For a very advanced company which uses the system for hundreds of open jobs over many recruiters, this is a great system. I don't recommend for a independent recruiter. It's expensive and much more useful for an agency enterprise setting. For small office, or independent, there are probably better options. Tracking candidate progress, searching candidates, marketing jobs, contact manager, req manager, business development, email, scheduling, tracking emails, note and phone calls. "An extremely able CRM for B2B-based recruitment or services based sales"
Bullhorn is the most intuitive CRM I've used out of a panoply including the two biggest names in the CRM game. The only small issue I have with the Bullhorn workflow is reloading a page view takes a little getting used to. The Pulse feature is very innovative. We are a recruiting business that searched for the most intuitive UI we could find for our sales staff so that they could be focused on sales and not on navigating the intricacies of the CRM system. This has resulted in much better data and insights for the business. "Bullhorn for small business "
The ease of tracking recruiting lifecycle from job order to placement. The duplicate checker for candidate, contact and company profiles isn't intuitive enough - there is no way to search out duplicates based on email address it only tries to eliminate adding a duplicate record when creating a record and that is based on last name / first letters of first name NOT email so it pulls a lot of records that aren't actually duplicates and with multiple recruiters adding records can miss duplicates from ignoring prompts since they usually aren't correct. Great product but make sure you know what is required for implementation- what can and can't be migrated. Creating a consistent workflow to hire larger staff. Problems we've incountered are related to the fact that bullhorn allows you to do a particular task via many different paths - and some create different results on the back end so reporting isn't consistent. If changed to only allow the proper way to generate correct reporting that would make life easier. "Great way to streamline the recruiting process." I like that it creates effective communication between both sales and recruiting. Also being able to see my personal reporting numbers keeps me on track with my weekly goals to be a more effective contributor to my team and company overall. I wish that the search bar was more intuitive. For example, if you spell a name wrong by one letter, you cannot find a candidate. Dashes and parentheses in phone numbers also pose issues when performing a search. Once you get the hang of Bullhorn, it makes life a lot easier. Being able to have the candidate/client information in front of you, as well as being able to see a history of all of their activity, including e-mails, is extremely helpful to the recruiting process. Being able to build your pipeline and manage it effectively is great with this tool. We are solving communication issues. Bullhorn provides this benefit. I liked how Bullhorn sets up campaigns for you to simplify your call lists on a daily basis. 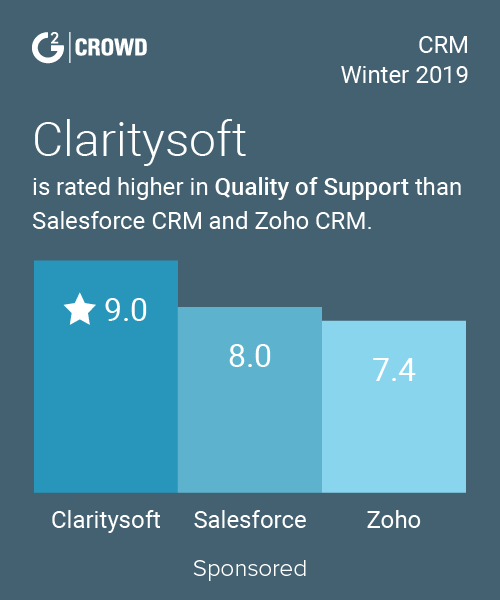 It is easy to use as it was the first CRM I have ever worked with and I am sure it is much more affordable for a smaller company than Salesforce. After using other CRM tools I realize that not only could the platform be easier to navigate, but it could also offer more features and benefits to it's users like a map for field sales representatives. It is a good product for simple tasks. I used this to set up daily campaigns and update candidates information as maybe there were not looking for a new position at that time. "Great CRM for recruiting firm"
Seeing the history and streamlining notes and information across recruiters. We have several clients and jobs with different requirements but sometimes overlapping candidates. Being able to categorize candidates in a 'tearsheet' and quick reference for new opportunities is a fast way to retain and reconnect with great talent. "A brilliant solution for ATS and CRM"
Easily scalable & customizable. Web-based. It's easy to trigger notifications for specific actions taken in the system. Our sales team uses the CRM. When they close a deal, it's easy to transition the opportunity to a job in the system. It makes it easy to track and show how long it takes to fill a job from the time when a deal has been signed to the time someone is hired. Also, Bullhorn integrates with a TON of 3rd part applications that we use. I am very anxious to see a "makeover" of the back office user interface. Applicant tracking, back office paperwork, Sales CRM. "Bullhorn CRM drives workflow collaboration "
Bullhorn CRM is user-friendly and is a tool not only for consolidating client, candidate and opportunity information, but also fosters collaboration and drives consistency for teams by providing consistent real-time access to information and the ability to create templates for a consistent branding message; which also serves to streamline the daily workflow. I would like to see improved cross-referencing to other database tools; such as LinkedIn - - to identify who is in the CRM and to import information. I know this is possible with 3rd-party bolt-on tools and i'd like to see this functionality as part of the standard package. We are using Bullhorn CRM to streamline processes and enable consistency across regions. By doing so, we have reduced time to fill, improved customer and candidate experience and and improved team productivity. Candidate tracking, posting a job, and able to source right out of it. "Intuitive and Easy to Learn"
The email tracking feature is a god-send, and really helps when co-workers are out of the office. The drag and drop feature is also time saving, and works like a charm. I like that you can create your own "favorite" searches. It is customization to our needs for the most part. The customer service and help desk team don't seem to be able to help as efficiently as we would have hoped. It seems as though many of them don't know their own products features. We are often told things are being "worked on" with little to no follow up. We are able to be more efficient with Bullhorn. Speed is not its best quality, besides it is not possible to recover information not recorded in case of delaying or advancing the page, log-offs, etc. Functions and reports limited or little customizable in my particular case. User friendly, easy to navigate, able to add on various technology to adapt with company needs - very excited we are in the process of switching over as I have used it in the past and out of all the ATS and CRM systems I have used in the past this is by far one of the top! Only concern is that you can do mass emails and I just think that yes it saves time, but it takes out the personal touch. It is well worth the time, effort and money spent. You are able to customize according to your past needs, current needs and future needs to make your company succeed. Saves time in all aspects from sales, recruitment, management etc. There are so many different options of and reports that will just enhance business. "Great for tracking projects but doesn't work for a company as a whole "
I like the easy use tool features. When I was being trained on it I found it very easy to understand the features and what not. I think there needs to be features where some areas could be customizable depending on what it's needed for and different tabs for different needs and information. It was also way too expensive. I like how easy it is as a tool to use within the work place. Using it as an ATS has been both efficient and worthwhile long-term due to it's ability to track information and candidates. What this tool also does is track ownership within the tool and date and time stamps on emails sent from work addresses. This makes it easy to go back into the tool to find information from way back when. Sometimes, the tool is delayed and will not load. I will have to restart it which is inconvenient when you are in the middle of adding a candidate or job to the tool. For example, when I am adding a candidate, it will not load as quickly as it should. I would say it is definitely worth the investment. It is a great tool that can be used to track data from the past and present in hopes of using this intel in the future. Easy to access and use daily. The business problems we are solving would be to have a unified system to input data. Our organization has offices around the world including India and around the US and so having one system for everything is most helpful and conducive. We use Bullhorn as our daily ATS to record all contact with both candidates and clients. The software has a lot of useful tools that helps eliminate a lot of time-consuming events, but on the same not, can often be lagging in many areas. The software is a little clunkly, and although it's a newer version, it seems a bit outdated. While the platform is web-based, it fails to run smoothly through a mobile platform, and often times, the loading times are a little sluggish. I would test out multiple ATS and see which work best for you. If you are comfortable using GMAIL as your email platform, than Bullhorn is most likely your best option. Bullhorn makes it really easy to parse in new candidates and client information, all without tedious external options. "Great tool for small business!" The user interface is the easiest CRM I have ever used. When you open the cloud software, everything is right where you think it should be. Adding, editing and removing information is very simple. The customer service is great to work with and they are usually very helpful with questions. Users/admins also have a lot of flexibility with the fields and mapping of the different modules you plan to use. When we first on-boarded with BH, our client advocate wasn't very helpful with the assistance of getting up and running. I had a long lead time and needed extra time to work on getting everything up and running --- it would have been nice to have an advocate who understood that - unfortunately I felt like I was rushed through the implementation process and could have done a better job customizing the program before users got into using it. Slowly I am working on updating and modifying the layout. The reporting is very simple, sometimes that can be a disadvantage. Spend time with the onboarding process and really get to know the product before you let all the users start using it. And always remember - Garbage in, Garbage out. Organization and reporting. We were lacking the ability to track opportunities in anything other than Excel, which became very messy and not very user friendly. With BH I have the ability to manipulate the information and present it in a fashion where it is C-Level. Staying organized is easy with BH, because everything is at your fingertips. "Good for applicant tracking "
It was easy to post job advertisements, and you were able to add more content then other job boards, it had a good ATS, where you could keep track of where in the recruitment process you were via the links. We were using it as an Applicant Tracking System. Other then that it was the only thing we used it for at the time. "Great place to store/view Candidate records/information"
Favorites - its helpful to save different searches for different purposes and have the ability to switch, see shared favorites and arrange menus to show the information I need for the specific task I'm doing. Often, the search box malfunctions or does not recognize the name I am typing in. There are also some issues with parsing and duplication of records that could use some tweeking. It would be ideal if there were AI matching fields to cross-reference. Ask someone who knows more about CRMs and what is available because it is all new to me. Bullhorn is the database of information on all of our activities and we use InsightSquared to track the metrics and movement between activities recorded in Bullhorn. The truth is, I am new to the industry in general and find Bullhorn challenging to navigate. "Clunky and Not the Most Effiicient"
I like how it can be relatively easy to move items around in the layout/view to best fit the needs of your organization. The mass email feature is useful and my recruiters love how easy it is to use. They also like the integration with Outlook where emails will launch into outlook and be written into activities or notes to log contact. I seriously HATE the super search function. It doesn't work right- VERY often i type a candidate's name into the system to see if we have them already, and it doesn't pull up any results. Once i start to add the candidate and hit save- I then get hit with a duplicate notification and have wasted all that time entering a candidates information when I could've just updated the existing from the start. Bullhorn support is also very slow. Last week we had an issue with the search functions not working (a HIGHLY important function for my recruiters to search for candidates and jobs that match!). I'm the administrator, so I entered a critical ticket to support and was told that the issue was not critical, my ticket got downgraded and it took over 3 days to resolve and GREATLY affected my team's work and productivity. Make sure that you understand the limitations to this software. There are many things I wish I could change, but can't because they are "hardcoded" features that bullhorn won't change. While Bullhorn is nowhere near perfect, it is much better in helping aid collaboration, organization and communication across our whole team. "not the best for crm "
It took me a while to see the benefit of only being able to log activities under contacts rather than a company. I would prefer to have the abilityy to log activities under the company becuase it's too much clicking around and annoying and time consuming to have to log activities the way they have it worked out. 2 action options in 2 different places on each screen which is unneccessary. They should have all the action options in one drop down not 2. The way that you can complete activities en mass is ok but it doesn't work well and you can't see prior activities in this screen so it's useless if you want to see more past info. Stop asking me to add address twice once for physical and once for billing. If it's the same give me at least a check mark box to duplicate it into both fields otherwise too much data entry is required and it's too time consuming. Many other areas require too many clicks to get to what you need. I am tracking sales and relationships with customers and prospects with this. I have yet to realize benefits yet. I was first introduced to Bullhorn as a recruiter 3 years ago. The company has made significant changes & enhancements to the ATS in the last 3 years but I have always found it extremely useful for candidate searches & candidate tracking. In our business, speed to market is crucial & it is very competitive. The features allow for more effective & efficient searches & tracking. It allows us to store & organize large amounts of data which can be easily accessed through fast find. 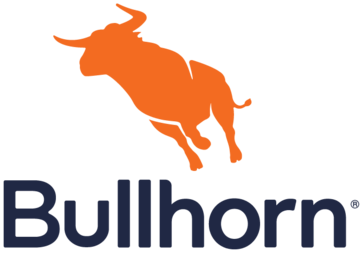 "Bullhorn, an excellent CRM for the recruitment industry"
Bullhorn has saved us time and money by incorporating our offline processes 'online'. Working with Bullhorn's Marketplace partners has meant that from the time we place a job advertisement on the web to setting up our contractors (and them completing timesheets) is now completely online with zero offline paperwork. This is a tough one! Sometimes when we have (what we think is) a great idea, we see there is a lag between raising this product improvement to it becoming live in production. Being in Australia, the localisation of the product to a little while (US format fields etc) but this has now been resolved. All in all, not much to dislike! We planned this by mapping all our candidate, client & client contact processes first to see what the business requirements were. This flushed out a number or rules that we wanted to build into Bullhorn at different stages. We included stakeholders from all parts of the business - sales, payroll, finance, IT, Marketing and recruitment systems support - during the mapping phase so we could get most of the rules sorted out and documented. This also included names of fields and custom fields we needed. From here we drafted a detailed specifications for Bullhorn to follow when setting up our Bullhorn environment. They were very good in coming back with a number of suggestions we did not think about and helped us map these out. Peoplebank wanted to have a configured system which allowed us to realise the benefits of putting our entire recruitment process online. We achieved this and have been able to work with the team at Bullhorn to make continuous improvements to our Bullhorn environment. Thank you so much for taking the time to write such a thoughtful review. We appreciate your feedback on our features and marketplace partners. If you are in need of anything please feel free to reach out to me at emily.saquet@Bullhorn.com. Thank you! "Works well for my organization"
I like this product because it is very user friendly, easy to parse in candidates and also has great search features. Bullhorn also updates consistently, so it seems faster. I wish that the product was more customize-able for our firm. I think their could be some things that they could tailor to our business so that we could utilize this program more efficiently for sales and recruiting. Figure out if you need a more customized CRM. If you do, this is not for you. A lot of changes could be made and the updates are great but it is not customized down to the client level. We solve a lot of our sales needs, recruiting needs and HR needs. The benefit is that it is easy to teach new employees and can be mastered in a short amount of time. "Great space for tracking and sharing data"
Being able to share and track information with the office. It allows us to complete work and calls without having to ask someone questions all day- we can go to bullhorn and get all the information we need. Sometimes it can be difficult to navigate or find the information you're looking for. Also, if you type in someone's name you won't necessarily get the person you're searching for. Give it a try if you're looking to keep information and files in one space. Extremely beneficial to the day to day calls and functions of our company in tracking data and calls made to prospective employees. "I really like the simplicity and ease of functionality behind Bullhorn." All the tools in one place, Can send mass emails to candidates. Bullhorn is a very long learning process. Although once you get used to it, its alright. It seems like there are a lot more unnecessary steps that you have to do for basic things. Also lots of sections that you will never use. Things can get really confusing because they over complicate simple steps. Prepare for time to learn in depth. "Fantastic company and great system"
No real issues with the software at all, we have stayed with Bullhorn, as they continuously develop the system and add new features. Definitely worth it. however, with so many customisation options, work out a plan before you get started on making changes, as sometimes you can make a lot and then realise there is a lot of tweaks to change back. Ability to provide both internal and external recruitment for clients, in many sectors. Bullhorn gives us a centralised place to manage our clients and candidates and placements. I enjoy that I have access to so much detail and information. I love that it can be housed in one spot so it's easy to access for our team members. we have the potential to use the new cloud call tool to access the technician's information quickly and keep up to date notes. I like how organized the system is. There are even tear sheets and informational tutorials to help out with full cycle recruiting. I do not like the Daxtra search function. It is clunky and it would be much more useable if it was modeled after LinkedIn recruiters search capabilities. We use this system as a community database across mutple offices. It allows us to track contractors and internal hires and their progress in the application process. Love that is is user friendly and easy to use. We use it to keep track of our candidates and clients. Very useful to keep organized. Like that we can integrate other social media to it. I am not a huge fan on the tearsheet set ups. There may be a way to organize them better than how i have them set up, but I have not figured it out yet. Not a fan of their app. I feel that there are times I can't find my candidates when using the app. If a candidate changes one kind of contact information, it will make a new profile for the candidate. It checks for duplicate candidate by name. Example if you are putting Chris Jones in the system, it will pull up all the Chris's, jones's and chris jones in the system. I would definitely recommend this to others considering on transitioning to Bullhorn. I have enjoyed using it and prefer it over our old system. Being able to see my activity with candidates and making sure I am staying up to date with them has been a huge help through bullhorn! I don't like anything the well. Everything works fine and it has been the only option at this point. They are able to customize better than it used to be, which is good. Customer service is also really great. A lot of limitations. Many other tools do not integrate with Bullhorn like we want. "Life saver for candidate ownership"
It's really efficient and way better than some of the others I have used in the past. I think it's a great way to keep all of my candidates in order and detailed. There are also a lot of more hidden features that I've figured out over time and they've been additional help to our teams. It's tedious. I wish that it was more like Salesforce in the sense that it would track just about everything for us. I realize there are emails tracked places, but there are a lot of features that just make it messy. We also don't have all of the info it asks for when we add candidates so we end up with a ton of garbage in there. Additionally, the mobile use is TERRIBLE still. It barely functions on my iOS. The dashboard is messy and has gotten worse over time but I no longer use it. I think this varies by the need of the company using it as we were able to customize and construct a site that worked best for our organization. I have to imagine that there are other features that we are unfamiliar with at this point and that could also be helpful to us or others. We have used this to easily create rules and definitions around candidate ownership and made it much more efficient when people are competing for it. Bullhorn provides a complete servicing platform for all stages of candidate recruiting. We are able to manage our client and candidate contact lists, our jobs, payroll, onboarding, and more. Aside from minor window control and UI quirks, Bullhorn has few flaws. With recent mergers, our company has experienced exponential growth during 2016. With that growth comes the challenge of integrating client and sales data, as well as candidate data. With Bullhorn, the integration was seamless. All of the data was easily uploaded into our established Bullhorn database and we experienced no downtime. It's a good CRM system to use if you are looking for something different than Salesforce. With the new update they did when my recruiters submit me a candidate it no longer notify's me where before if would let you know. I also don't like that I have to input my password two to three times before it allows me to log in. It has been making my life easier with inputting contacts and sending out emails to contacts. It makes keeping track of notes and doing follow-ups much easier. "Bullhorn for an IT Staffing office"
I like the ease of being able to find candidates and clients. Also the help I receive via the chat button is FABULOUS! "Bullhorn gets to the point"
The ability to find my candidates that I've last talked to quickly helps me stay on top of them. Also, being able to look for open job orders allows you to see what you can get candidates out to clients quickly. I also like the fact that we have integrated it with our website so when candidates apply to our website, the application gets pushed to Bullhorn so we are able to see what position they applied for at what specific time. I wish there was a hover feature where you can see notes without having to drill down or having to open all of the notes to see the last few quickly. At times, the systems freezes and take longer than I'd like for it to access information. The support is second to none as the people who work at Bullhorn truly care about the effectiveness of their product. I think if you were to use it, you would find it to be a staple within your day to day recruiting because you do not need another web application to help you manage your candidate and customer data. It all ties together. I am able to access candidates faster which is ultimately what our clients ask of us. Being able to access candidates allows you to get in touch with them and make placements as a results of reaching out faster. Great tool for having different modules open at the same time and ability to work on several items at the same time. Love the tearsheets, activity center tied to email and ease of adding new candidates. Searching can be challenging. Ability to change/add notes needs to be enhanced. Much easier to use than other ATS. Nice layout. Take fee training classes - it will enhance what you can decipher on your own. keeping candidate and client activity synchronized across the company, so everyone is aware of current activity of shared candidates and clients. If everyone utilizes the tools fully, it reduces duplicate efforts. Thank you for taking the time to write a review of our product. We're glad to hear that there are many features that you like using. I wanted to share with you this site (http://customerportal.bullhorn.com/). It has some short videos including one on tips and tricks when using the fast find for searching. There is also a form that you can submit with product feedback, if you would like to share specific opportunities for enhancements. If there is anything else we can help you with please feel free to reach out to me directly at emily.saquet@bullhorn.com. "Great Software for many different applications"
It is a great way to maintain your client, prospects, contacts, projects, quotes, candidates, vendors and a whole host of other data which is easily accessible and readily available for a whole host of projects and initiatives. When you are entering in data and/or retrieving it for the first time it is not intuitive with regard to some of the ways in which you are expected to perform these operations. There is a learning curve and it may seem cumbersome in some areas if you have used other more robust(read: more expensive) CRM applications. However for the space it inhabits the software is superior to other CRM which I have utilized in the past. Day to Day organization of the data and processes involved in Project Management, Prospecting, Staffing, Client and Vendor interactions and reporting. I liked the ability to have everything in one place, and online instead of in a separate application attached to the desktop. I also liked all the different options for things you talked to clients about and for the different phases of the hiring process. I disliked that candidates and clients could not be put together - if a candidate was also a client they needed two separate profiles. We used Bullhorn as a way to combine all our processes in one - sales, placement, etc. I like that it is easy to maneuver through the software. I can run reports, perform detailed searches and have access to it on my mobile device as well. There isn't much I dislike about the software. It is very user friendly. I'm able to create lists, tearsheets, send email blasts and track all of my activity for clients. It makes it easy to follow up and create tasks for myself to stay focused on making money. Bullhorn offers a variety of tab options which help us organize, find and manage data effectively. Personally, the job tabs and dashboards available make valuable information easy to find. As a recruiter, I am speaking with consultants on a daily basis for different job categories, having the ability to quickly access different job categories in seconds makes my job easier and my phone conversations more effective. Not all job categories are always available for certain niche roles. There are times I speak with consultants that don't fall under any of the categories available, and so sometimes this makes it hard for me to either find them in the system or speak to them about available opportunities. "Use Bullhorn to manage contacts"
I like that multiple people can manage contacts. I've worked on past CRM that made it difficult when more than one person owned a contact. Bullhorn is nice that multiple individuals can go in and edit and manage a contact. It is also nice that we are able to have individuals as both a client and a candidate. I wish there was a way to add old positions to a contact without having to archive, etc. I would like to see that so-and-so used to be at ABC company before XYZ without having to pull up a linked record. A lot of great options and features. Managing clients and candidates. It makes it easier to keep track of all our organization's contacts and manage their position in the pipeline. Thank you for taking the time to complete a review of our product and provide such great feedback. We love to hear from customers like you. Your feedback allows us to improve your experience. So you can, in turn, continue to offer your clients a great experience. If you would ever like to offer product feedback directly to our product team, you can use this link: http://customerportal.bullhorn.com/feedback/. Additionally, feel free to reach out to me directly if there is anything that you would like to discuss further (emily.saquet@bullhorn.com). Thank you! Bullhorn makes my day to day much easier. I can keep track of my day to day actives with ease. The search tools help me find qualified candidates. Task help me keep track of any calls or emails I need to send. At time Bullhorn will log me off. If I am running a search that can interfere with my progress. Also sometimes when I add a candidate to a tear sheet is will not load. This can lead to me missing out of candidates. Give it a test run and see how it goes. The problem of follow ups. I can keep track of all follow ups that need to be made. Organizing is key as well. Bullhorn helps in a big way with organizing. "Organization is key - and bullhorn is the lock." Allows me to track all of my notes and history with a certain candidate. Love to tearsheet and distribution list availability. There isn't too much that I don't like -but one thing I can say is mass emails don't come out as great as they should. They sort of look like "mass emails". Wish there was a way to mass email but make it look more personalized. Sometimes lags - try to speed it up - maybe through a downloadable version? but love that you can use from any computer. * We monitor all Bullhorn CRM reviews to prevent fraudulent reviews and keep review quality high. We do not post reviews by company employees or direct competitors. Validated reviews require the user to submit a screenshot of the product containing their user ID, in order to verify a user is an actual user of the product. Hi there! Are you looking to implement a solution like Bullhorn CRM?